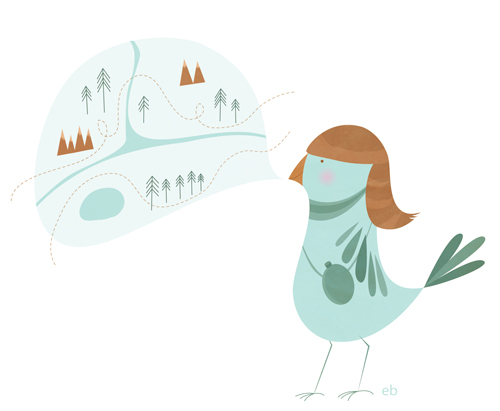 This is my attempt for the theme of Trail for Illustration Friday and it is also an entry for 52 Designs. This bird is the king of the wild frontier! It is blazing hot out here lately and I don't mind it so much. I prefer the sun over snow any day. I welcome the summer with open arms.